Law enforcement in Michigan wants to make it illegal for minors to possess vaping products and for retailers to sell e-cigarettes to minors. But an ongoing debate in the state Legislature has police and prosecutors frustrated. 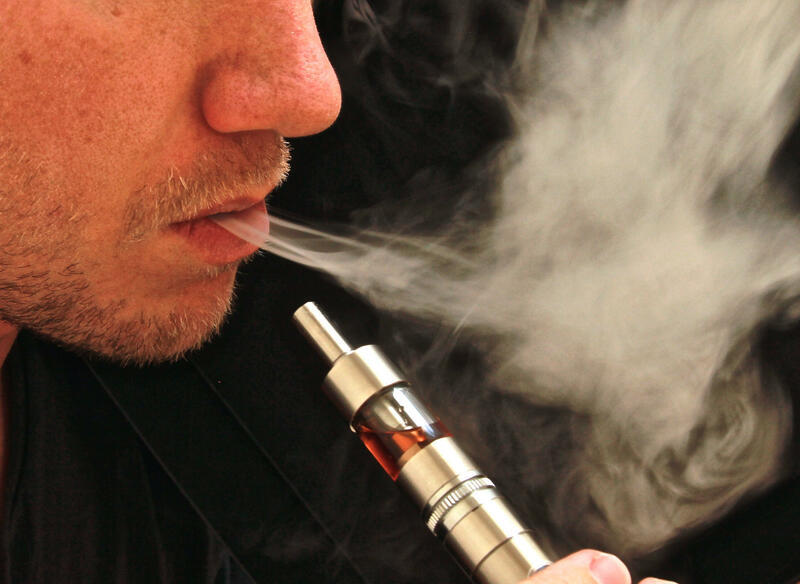 Former Governor Rick Snyder vetoed legislation to ban the sale and possession of e-cigarettes for minors. He said e-cigarettes should be classified and regulated like tobacco instead. But now, lawmakers in Lansing are trying to – once again – focus on the sale, not the classification. D.J. Hilson is the president of the Prosecuting Attorneys Association of Michigan. He says law enforcement just wants to stop minors from the potentially harmful effects of vaping. A University of Michigan study found that for 9th through 12th grades, there was an increase of more than one million nicotine vapers in 2018 compared to 2017. Andrew Schepers is with the American Cancer Society. He says e-cigarettes could change, and then new legislation would be necessary unless they are broadly defined as tobacco products. “We’re looking to put together a solution that is lifelong lasting,” he says.